Since distance increases 2.5 yards for every 1 mph you add to your swing speed, a 25 mph increase in swing speed can add 62.5 yards. 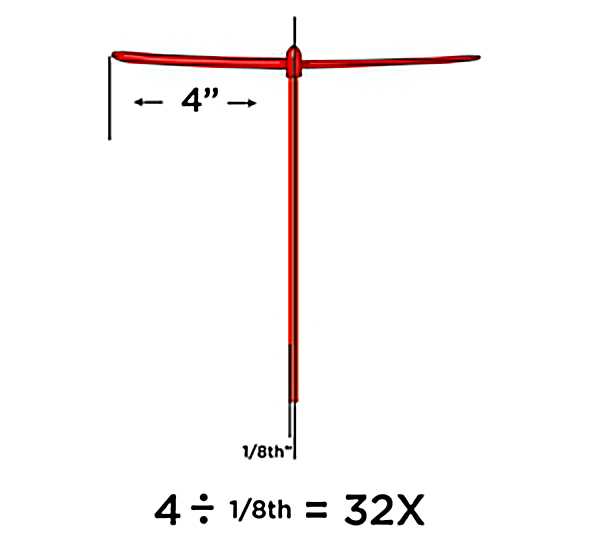 We can make these guarantees because any increase in your hip speed will be multiplied 10-25X by the hidden speed multiplier built in to your own body. 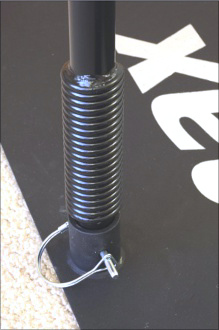 The special heavy-duty steel spring at the base of the Power Hip Trainer adapts to each individual golf posture while providing the resistance you need to build strong fast hips--and effortless golf swing speed. Before going any further, have someone test your hip strength for golf. You may be surprised how weak these muscles are, even if you follow a good conditioning program. If your hips are strong enough for golf, you will be able to snap your feet together so fast you can throw them back across the room. After all, your hip muscles are much bigger than their arm muscles. But if you are like most golfers, you will have to struggle to bring your feet together. 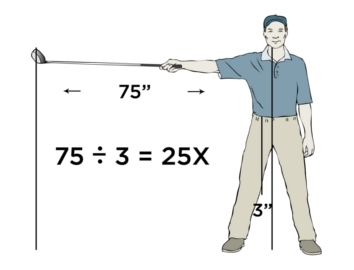 This means your hips are not strong enough for golf. The reason is simple—there is no resistance to hip rotation during the golf swing, so no amount of practice on the range or playing on the course will increase your hip strength. 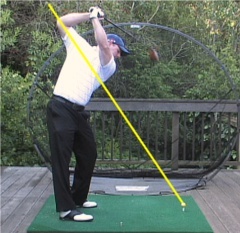 Any increase in hip speed will be multiplied 25 times at the club head. 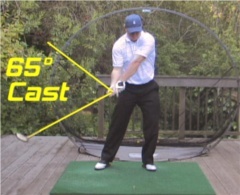 It is the easy, effortless way to add 25 mph to your golf swing speed. 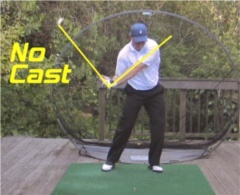 Here is a short video that will show you how to test your hip strength for golf at home. 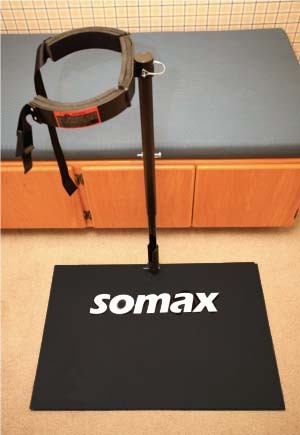 One of our golfers lost 4" off his waist while using the Power Hip Trainer as his winter workout. Start with just 15 minutes three times a week. The second week go to 30 minutes. Then 45 minutes, and finally an hour three times a week. You are now getting the exercise that doctors recommend for burning fat, strengthening your muscles, and keeping your heart healthy and strong. 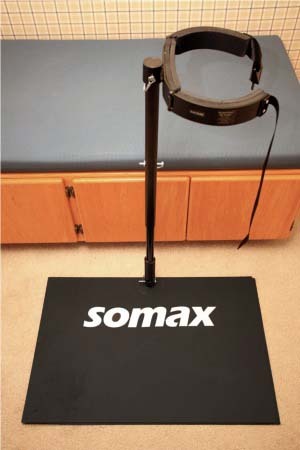 Your Power Hip Trainer comes with a 2-disc DVD that contains drills for right and left-handed golfers. 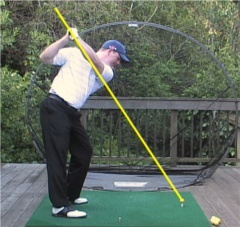 It has complete workouts for the first four weeks and beyond so that you can to continue to increase your swing speed. Does your wife play tennis? Do your kids play baseball, football, basketball, soccer or swim? All these sports and more require strong fast hips. ThePower Hip Trainer will benefit your whole family. Keeping your knees together, move your feet away from each other. If you have enough flexibility in your hips for golf, you should be able to move your feet apart a total of 120°. That is 60° on each side. 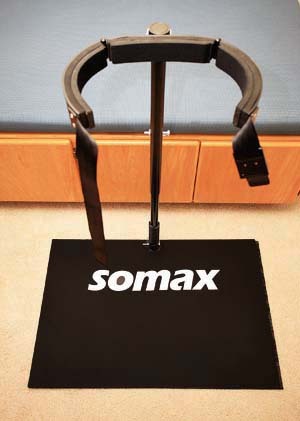 If you have at least 45° of internal rotation on each hip and your hips test weak—then the Power Hip Trainer is for you and will transform your golf game as you increase your distance and control.